A panic button is being introduced at many Strip properties, giving workers a quick way to signal for help. The measure was a key part of the negotiations this summer when union officials coordinated on contract extensions for local service workers. 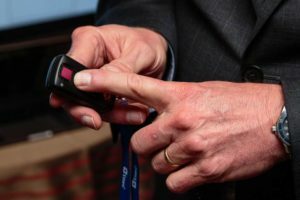 Enseo officials showed off its technology Wednesday at Cosmopolitan, one of many properties on the Strip planning to have panic devices for workers.